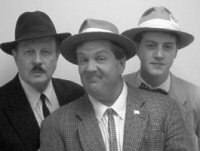 THE ULTIMATE ABBOTT AND COSTELLO TRIBUTE SHOW Bud Abbott Lou Costello Scoop Fields They transform themselves into Bud Abbott and Lou Costello through vintage dress and an authentic recreationof the team’s mannerisms and vocal stylings. 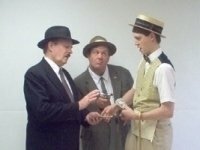 They perform with pinpoint accuracy many of the vaudeville and burlesque routines made famous by Bud and Lou on stage, screen, radio and television, including the classic baseball routine, “ Who’s On First?”. 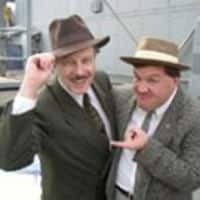 Their love and admiration of Abbott and Costello combined with their own comedic chemistry and friendship sparked to form a partnership that has flourished. 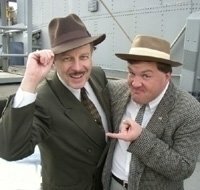 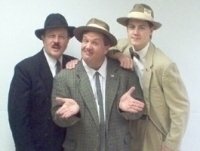 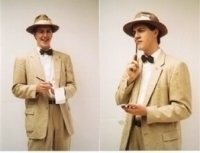 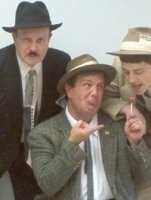 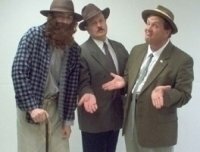 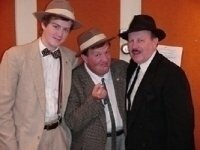 They have performed as Abbott and Costello for various corporate and local business functions, private parties, civic groups, fund raisers and on radio and television.